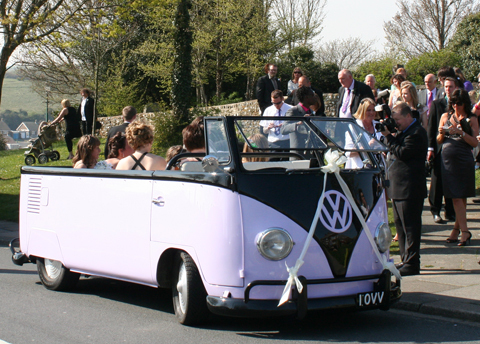 To book a wedding or Prom night in the Lovedub, please phone or email Colin first to check availability. 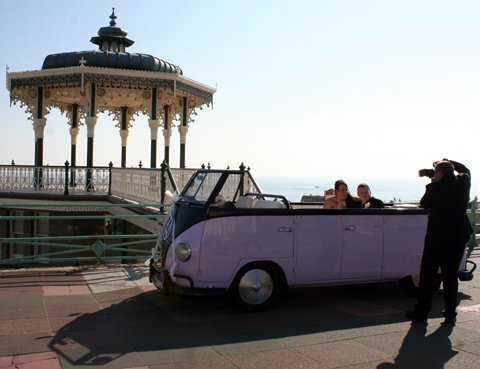 This is The Lovedub – our 1966 VW Splitscreen Kombi with the roof removed. We spent years restoring, customizing and preparing her. Now she’s available to hire for weddings, civil partnerships, school proms, films, promotional work and special occasions. We prefer to hire her out locally. 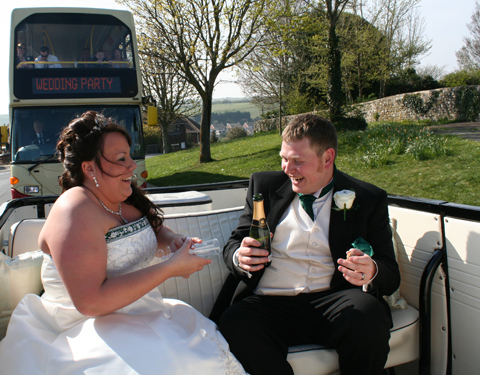 We charge £480 for a wedding or civil partnership in the Brighton area. 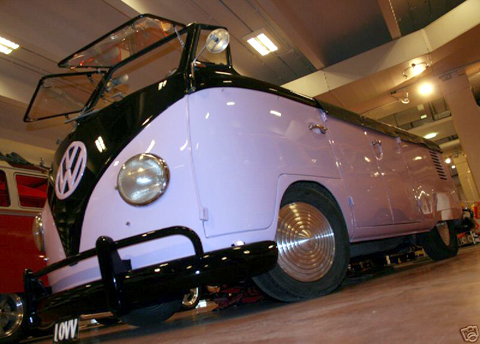 The Lovedub is one of a kind. 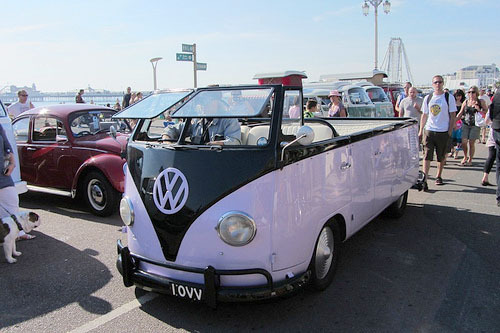 This 1966 VW Splitscreen Campervan was converted in South Africa seven years ago. After finding her there, I imported her into the UK and spent two years restoring her to the current high standard. My designs were according to our needs: this a show-standard vehicle that’s also easy to drive around on an everyday basis. 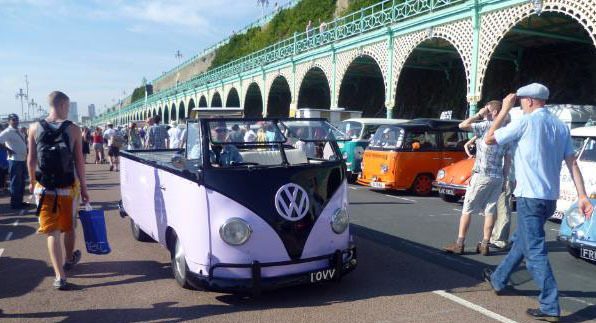 As the Lovedub is one of the most dynamic vintage vehicles on the road in the United Kingdom today, she also has excellent potential for promotional use. Depending on what you want to promote, I might also consider contracts for advertising and select appearances. …and has attended various shows. 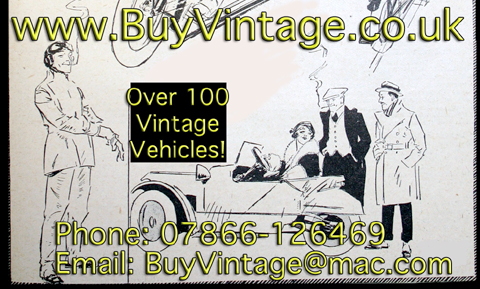 Please phone Colin on 07866-126469 to check for availability on the date required.